The Price is based On "Double Sided" and is A "Complete Unit"
Single Sided Flags or If You'd Like A "System Only"or "Print Only"Option. Single or Double Sided print options are available. 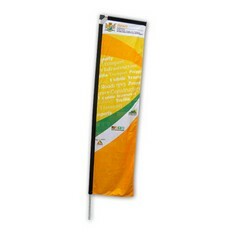 Flag accessories are available for indoor application, see Flag Accessories.